Possessing over 50 indoor plants kind of snuck up on me. Somehow I became obsessed with creating an urban jungle. Of course, like any obsession, it began with just one. Rudy, my largest rubber tree, introduced here, was purchased in 2015. I was working at a Garden Center at the time and was around plants of all sizes, mostly tropicals, like Rudy. Once settled in, Rudy was perfect. He looked so pretty in the window of my office and I soon brought home Sylvia, a giant snake plant that was over 4′ tall. My husband and I had been in our house a year at that point, and I was on the hunt for some interior inspiration. 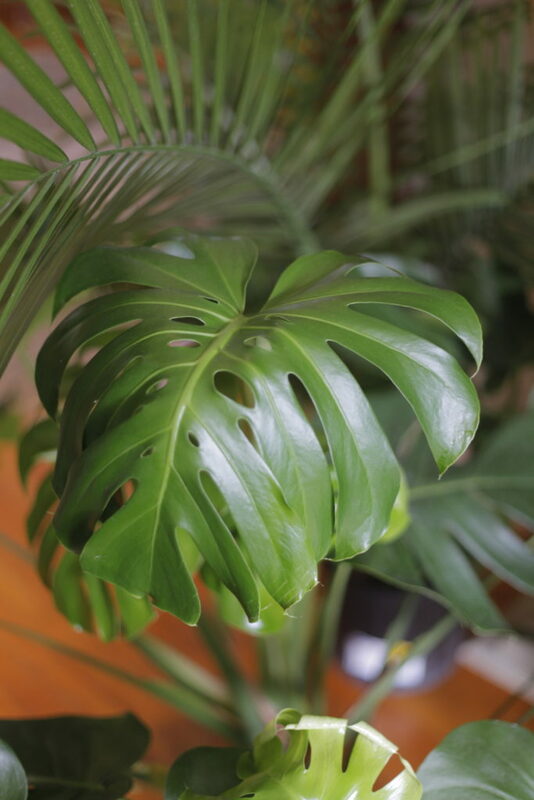 I became more and more interested in indoor tropicals, which fueled my plan to create my own urban jungle. Long story short, after these two plants (and a few smaller ones), I noticed an emptiness in so many rooms. That well-lit corner in the kitchen could use some green, I thought. My bedroom’s white walls looked so asylum-y and needed some much needed color. 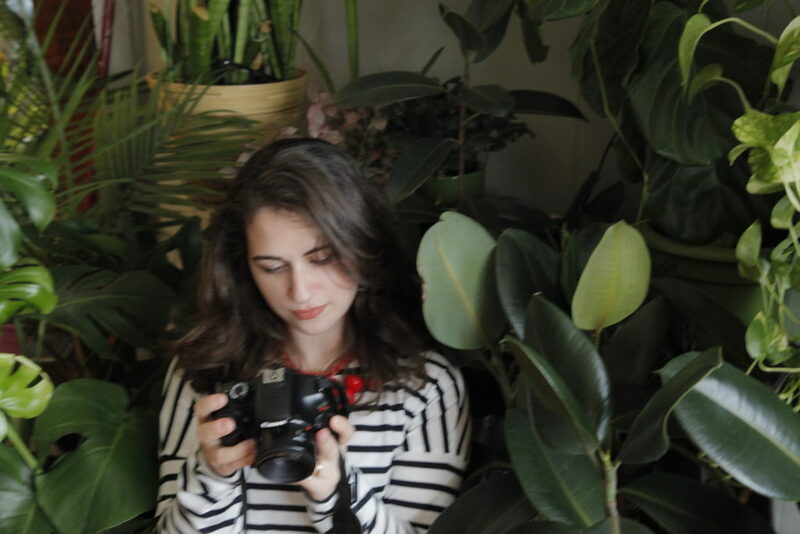 Fast forward to 2018, when my husband no longer notices the gazillion plants, insisting “they were always there.” It was three years of me plant-purchasing-and-planning, but ok.
Why do I like indoor plants so much? Why does anybody? 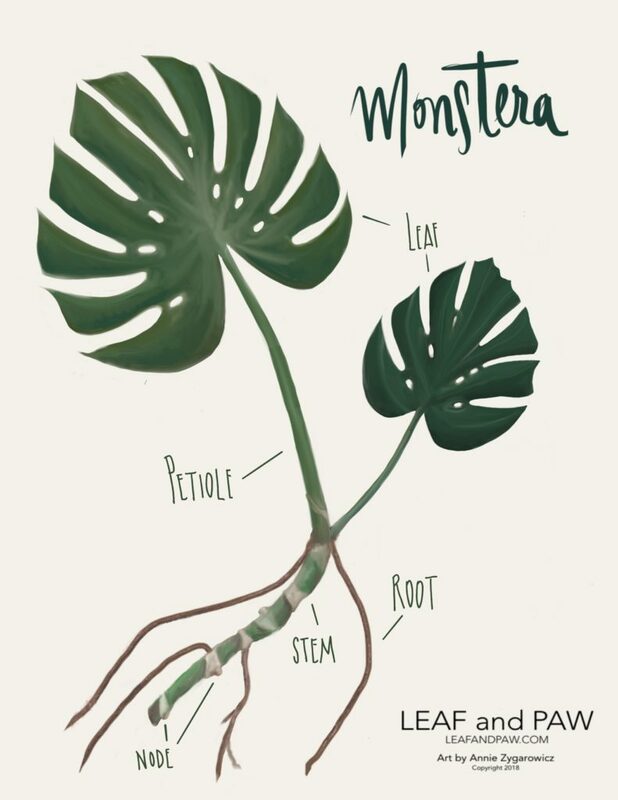 Plants symbolize nature and life, providing structure and character to our spaces. Sometimes, especially nowadays, they supply the only greenery (read: life) in small apartments and offices. 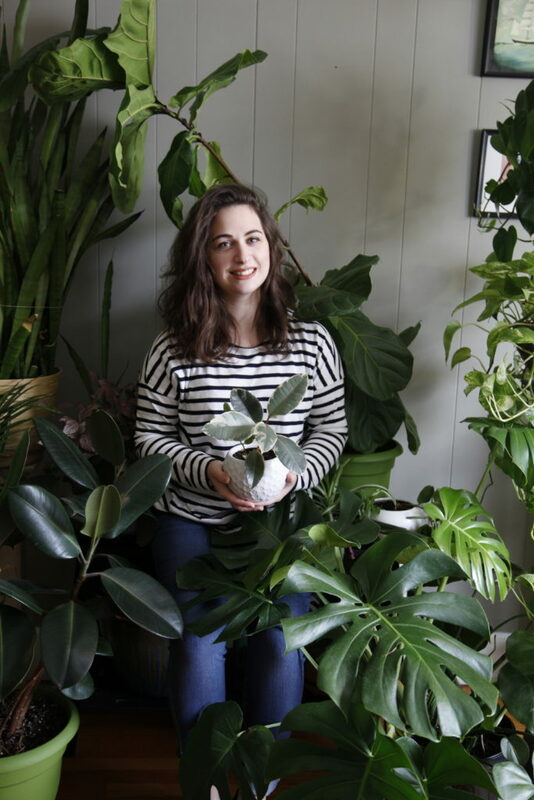 Normally these spaces look sterile, but plants add a warmthness and homey touch. 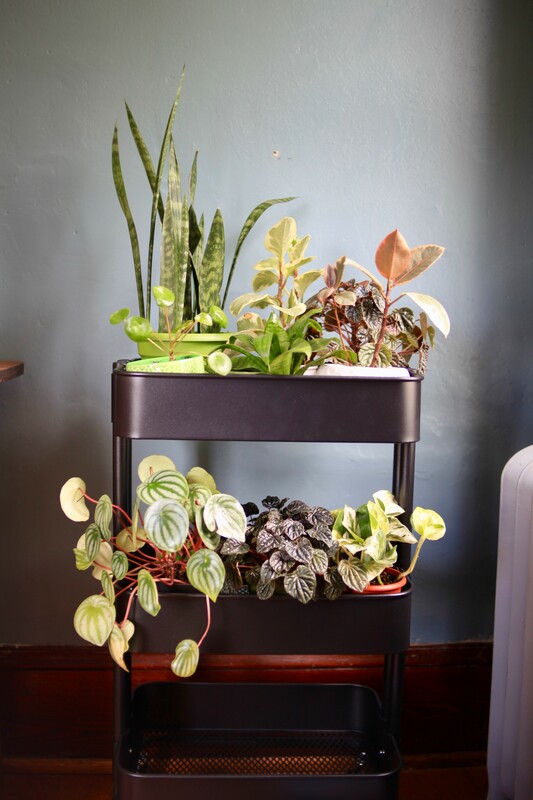 As I began to build my urban jungle I focused on adding plants that were healthy to my home. 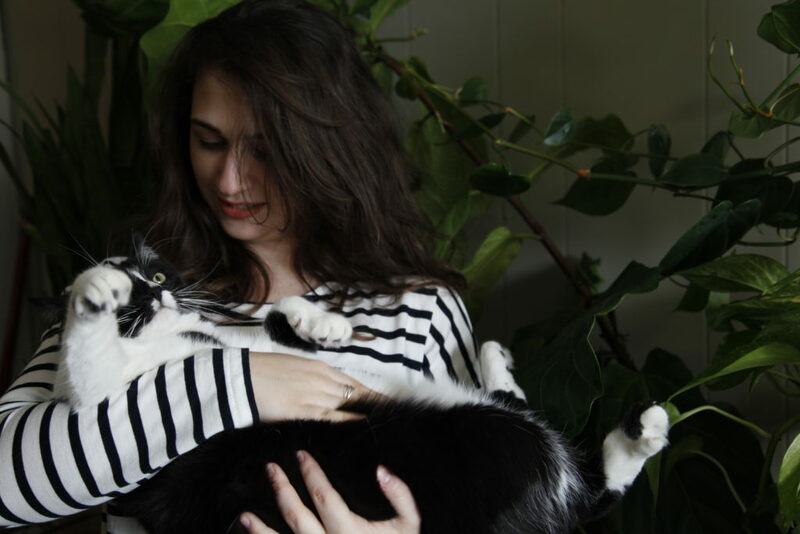 I also kept my cats in mind, who I very much want to enjoy my jungle with me without getting poisoned. So how do I create a lux yet simple Hanging Gardens of Babylon aesthetic that could also purify all the toxins from my house? Is that really asking too much? I started with what I liked: large plants and vines, with large leaves and different textures. My next pet safe plant was a 5′ palm and a few funky succulents that I planted in minimal white pots. 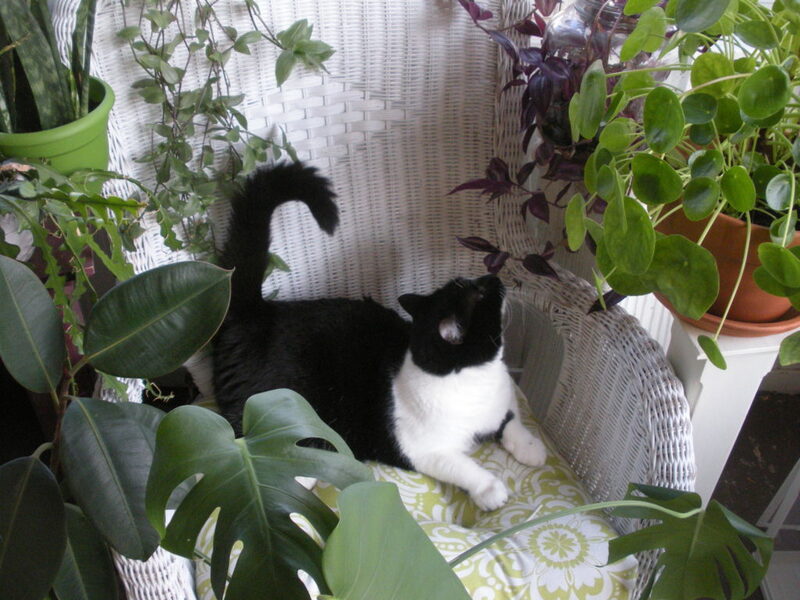 Once I understood how light and temperature functioned in my house, I added in picky plants like ferns and bromeliads. 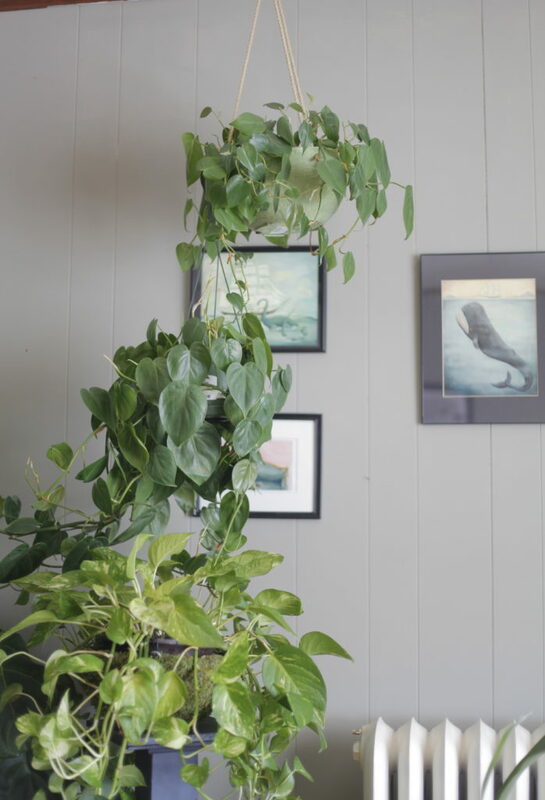 I list my favorite pet safe plants here and here….you’re welcome. I’m pretty happy with my progress so far. 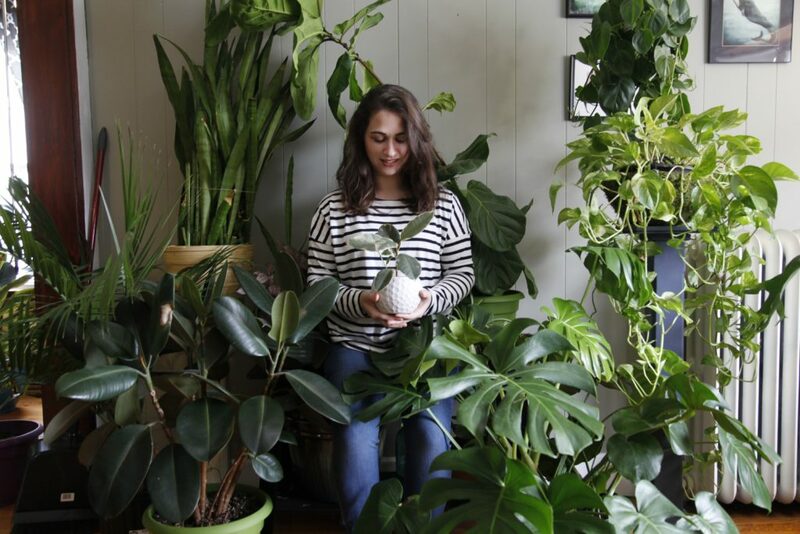 Having all of these leafy friends has not only unleashed a kind of zen in my house, but better air quality and cat-forests to hid in, and the lush Babylonian interior that I was after all along. I mention in my last post that I have been doing the KonMarie method of decluttering. I’ve replaced buying tchotchkes and useless decor with large scale plants and cactuses for my side tables and bookshelves, not useless knickknacks. 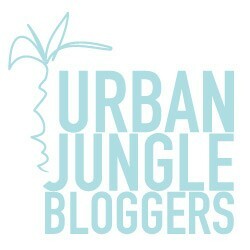 It’s a great perk that came along with my urban jungle project.